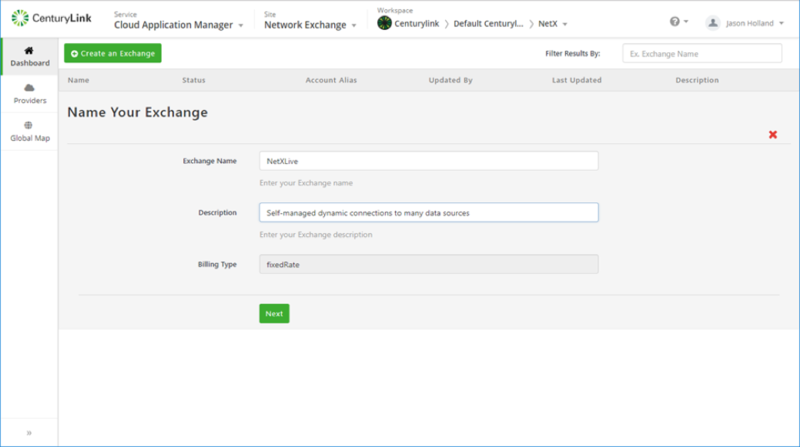 Network Exchange provides a secure, high-speed, 1Gbps and 10Gbps, redundant, private layer 3 network for connecting multiple endpoints within the data center. Network Exchange simplifies and accelerates the process of joining diverse network domains together. 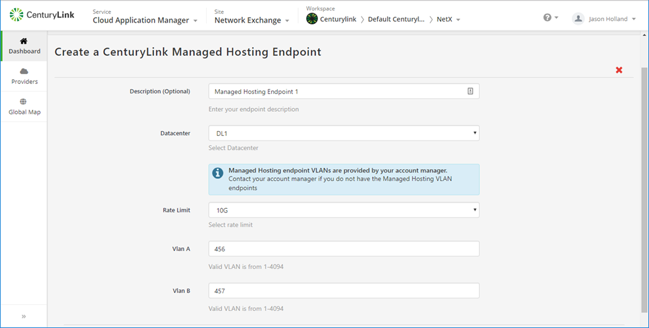 Includes ease of setup and management of multi-point exchanges via the CenturyLink Hybrid IT Delivery Platform and UI, coupled with CenturyLink's automation and pre-deployed network infrastructure. Pre-deployed network infrastructure provides security, reliability, and private connectivity for your data, apps, and hybrid solutions. Network Exchange establishes routing environments specific to each customer - no global routing tables are used. Developing an effective Hybrid IT strategy starts with understanding your workloads and identifying which ones are specialized. Rapidly evolving technologies such as analytics and specialized technology such as converged block storage are impractical to implement in private compute environments. Although workloads are generally considered platform-agnostic, not all perform optimally in every environment. In fact, some don't perform at all in specific environments. 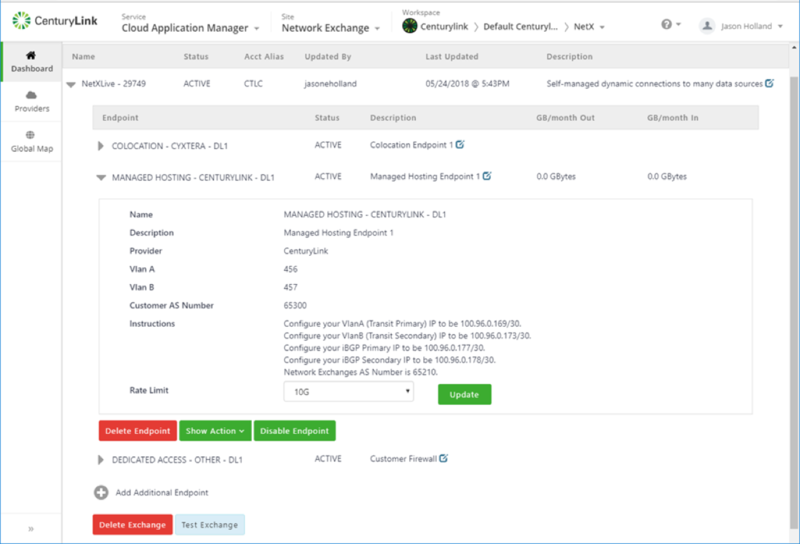 Network Exchange enables implementation of hybrid solutions across platforms at CenturyLink.